If you know or suspect that anyone other than you knows your user identification code or password, you must promptly notify us at helpdesk@cybsafe.com. The content on our site is provided for general information only if you are browsing our site. It is not intended to amount to advice on which you should rely. You must obtain professional or specialist advice before taking, or refraining from, any action on the basis of the content on our site. 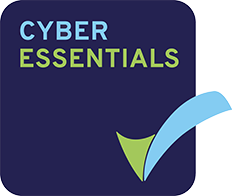 Where you visit our site in order to access our service, please note that our course is designed to give you a basic understanding of cyber security risks and to inform you as to the commonly accepted practices used to protect against these. Where you visit our site as an administrative user in order to access our service, you are entitled to rely on the analytical data that we provide to you. We will not be liable to any user for any loss or damage, whether in contract, tort (including negligence), breach of statutory duty, or otherwise, even if foreseeable, arising under or in connection with: • use of, or inability to use, our site; or • use of or reliance on any content displayed on our site. If you wish to make any use of content on our site other than that set out above, please contact helpdesk@cybafe.com. 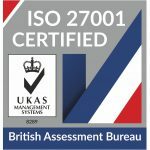 Cybsafe is a UK registered trade mark of Cybsafe Ltd.
To contact us, please email helpdesk@cybsafe.com.